I went through my posts from 2011 and chose my favorite ten cards from this year. This was not an easy feat–and I’d probably pick more favorites if I had half a chance! Most of these cards were shipped to Operation Write Home and they show a number of different techniques and designs. So here goes! Just a fun kid’s card. Having a space monkey is pretty perfect–this is something I would have made for my son when he was younger. It was fun to use predominately the BoBunny patterned papers to put this together with the help of a card sketch. Another very simple card. I used an eye-catching die cut butterfly from Paper House Productions to steal the show on this one. I love the striking velvet ric-rac that runs across it. This was inspired by OWH Sketch #61. Furry rodents are tops in my book! So this was a no brainer! I actually won a blue ribbon for this card at the Oregon State Fair, so it can’t be all bad! 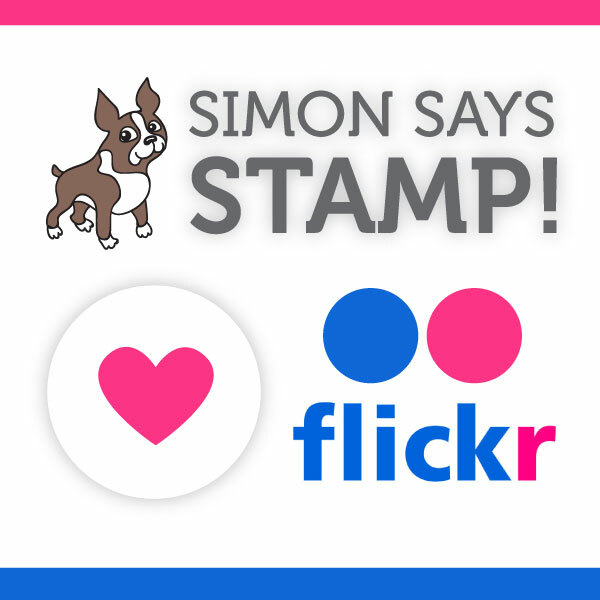 It features the Magenta stamp “Chipmunk Collage,” which is incredibly cute. The card sketch (#109) this was based on came from Card Patterns. This has been a very popular card at OWH. I used a great stamp set from Verve Stamps. This card was created using OWH Sketch #76. It could be used for any kind of occasion with this sentiment. I colored the balloon with Copic markers to match the papers. Just a fun card. This was an unusual sketch for me because of all the round elements (it is Clean and Simple Sketch #148), so it was kind of a stretch for me. I love the mouse stamp from Kodomo. This card could be used for any occasion. This was the first Valentine that I made for Operation Write Home this year. I used the OWH Sketch #93 and was able to put together different scraps of paper for the final design. That is always a good thing! This was a great Origami exercise for me. I claim to be folding-impaired, but luckily my son helps me out when I need it! Jan at Operation Write Home offered a superior tutorial on how to create the tree, which helped me big time! This penguin Christmas card was one I made for an OWH Christmas card challenge. I got to use one of my Cat’s Pajamas clear stamp sets, which is always a pleasure! This card features another Cat’s Pajamas stamp set. I made four of these for my son’s mentors at his magic group. I used Clean and Simple sketch #167. I made this card using the 99th sketch at Operation Write Home. It had several dimensions with different elements popped-up with double-sided tape for some visual interest. 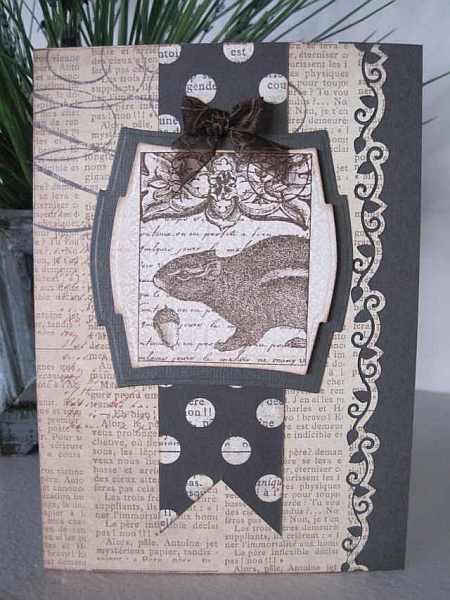 I also layered stamping instead of using patterned paper and used Ranger Distress inks at the edges of the layers. Thanks for visiting and reviewing my year with me. It has been a good year for cards! I think I sent over 100 to Operation Write Home this year, which was my very small contribution to the over 1 million cards shipped to the troops via OWH. We’ll see what this year brings! This entry was posted on Friday, December 30th, 2011 at 11:15 am	and posted in General Cards, OWH, Uncategorized. You can follow any responses to this entry through the RSS 2.0 feed. Great cards. The magic hat one is my favorite. Love the sentiment, the rich stage colors, the banner that the sentiment is on. The hello butterfly is gorgeous! Fab cards! I love the folded tree! Great cards. I like the magic bunny & the folded tree. What a great group of cards. The magic hat rabbit is so cool and that butterfly.. wowzers! that’s stunning. I bet it’s even prettier in real life. Great cards. Having a difficult time picking my favorite. I think I need to CASE a couple of them, especially the butterfly one. My top three favorites are the hot air ballon, butterfly, and Eiffel Tower cards. Wonderful! Happy New Year!!! Love the different techniques that you used on your cards. Thanks for sharing. Fun cards! The Christmas Tree card is perfect! The penguins card is a fun one. Happy New Year! Great cards Yvonne! I love that bunny in the top hat (too cute!) and the Eiffel Tower and of course the Hot Air balloon is fabulous too. Thanks for sharing this look back and being part of OWH. Happy New Year! Great group of cards! I especially love the butterfly! I’ve made a couple of cards with the tea folding Christmas tree, but none as nice as yours. Well done. Happy New Year. I really enjoyed looking at your gorgeous cards! Fun to see some great cards for kids included! Love your Eiffel Tower with the inked edges, and your folded Christmas tree is terrific! (I didn’t even try that!) Look forward to seeing what you create ’12! Happy New Year! Just gorgeous! Each and every one of them blew me away! Happy New Year! A great collection of cards! Love the Eiffel Tower card. Makes me want to visit Paris again!! Happy New Year! The simple blue butterfly is my favorite. I loved looking at all the others too. I had no idea you could enter cards in the state fair! How cool that you won! I think my favorite has to be the Eiffel Tower since I have such a soft spot for all things French. I really enjoy the variety of cards. Love your space monkey and your tree! Awesome cards. Great collection. Love the vintagey fell of the Eiffel tower card. Happy New Year!! Space Monkey is so much fun with all of the bright colors and I also like the Christmas tree too. Your love for furry rodents….not so much! LOL Thank you for sharing and Happy New Year! Great cards–my fave is Space Monkey. Lots of great creativity here! I found myself smiling as I recognized several OWH sketches; sketch #93 is one of my favorites! Thanks for sharing your work with OWH! Happy 2012! Great cards Yolanda! Your folded tree turned out beautiful! And your sledding penguins made me smile. Your cards are very inspirational! Lovely cards, and you have such a variety here! My favorites are the folded Christmas tree card and the Eiffel tower card. Thanks for the inspiration! I love the wide range of styles, from whimsical to elegant, in your choices. The Christmas tree made from folded paper looks like something I’d like to try, so I’ll search OWH for the tutorial. Thank you! I love the magic rabbit card, but they’re all wonderful! You did an amazing job. Happy New Year!